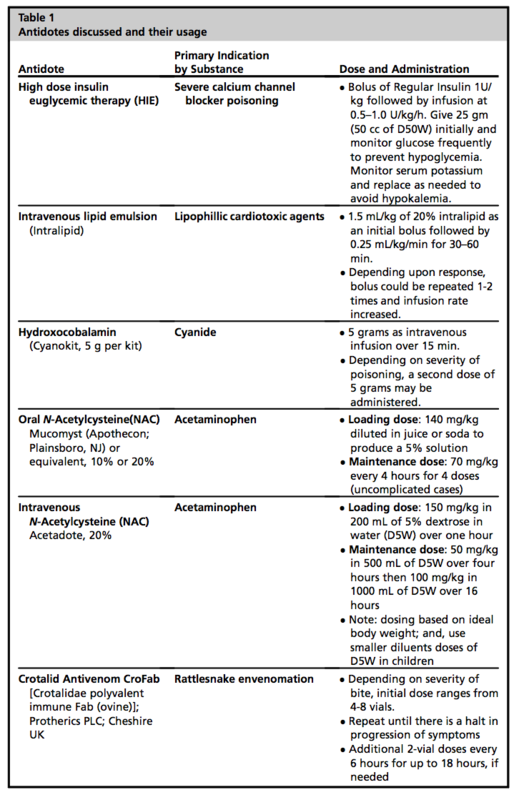 Lidocaine 1%: 4.5 mg/kg, max off-the-cuff dose is 300 mg. 1 vial is 50 mL and 500 mg, so try not to give a full vial, please. 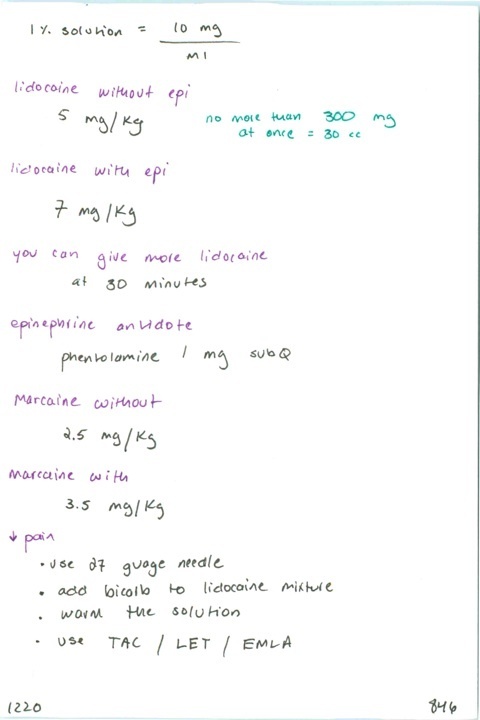 Lidocaine 1% w/ epi: 7 mg/kg. Max dose is 500 mg or 50 mL. Lidocaine IV dosing is 1.5 mg/kg, with a max of 200 mg, please note this is significantly below toxic dosing for local infiltration. The literature suggests 800 mg is the lower end of IV toxic dosing in adults. Benzocaine 20% (aka hurricane spray), indicated doses are two 1 second sprays into the oropharynx (methemoglobinemia has been induced with these indicated doseages). Bupivacaine 0.25%: 2 mg/kg, max total dose is 175 mg, or 70 mL. Bupivacaine 0.25% w/ epi is 3 mg/kg, max total dose is 225 mg or 90 mL. Next PostNext 1221. Dose of bicarb to add to lidocaine // When to avoid TAC // What is methylparaben? // What skin disinfectant can be used in a wound?